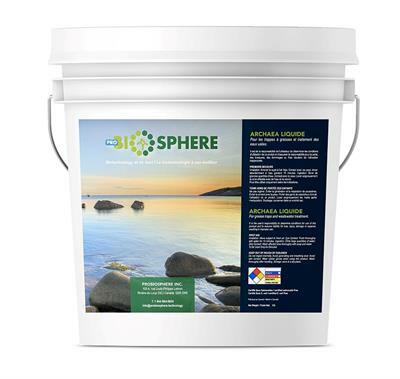 PROBIOSPHERE Archaea - Liquide - Wastewater and Environment - Wastewater Treatment Microbial and Enzyme Additive by Probiosphere Inc.
PROBIOSPHERE’s Archaea Liquid is the most powerful microorganisms and enzymes based additive on the market for biological wastewater treatment. Archaea Liquid is formulated from a biodegradable water based surfactant to turn your fat trap into a powerful bioreactor. No reviews were found for PROBIOSPHERE Archaea - Model Liquide - Wastewater Treatment Microbial and Enzyme Additive. Be the first to review!